Chris Sullivan is the Global Healthcare Practice Lead for Zebra Technologies and is responsible for strategy and marketing functions for the Healthcare business. 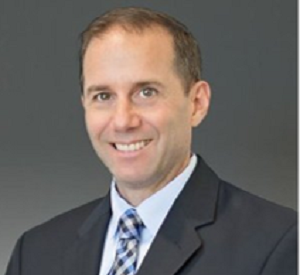 Chris began his career with Cardinal Health in 1993 and spent 16 years in sales, marketing, operations, and strategy leadership positions with Cardinal Health. In 2008, Chris joined W.W. Grainger to lead the strategy formation and creation of their Healthcare business. While at W.W. Grainger he created an industry first business model, designed around the Environment of Care regulatory standards, and distinguished by its innovation, marketplace differentiation, and commercial success. Chris is the Chairman of the Advisory Board for the Healthcare IoT Community organization and in this role helps focus the Healthcare Industry on the adaption and application of IoT in the Healthcare and Life Science environments. He also serves as a Board of Directors member and quality control committee chairperson for Chicago based Swedish Covenant Hospital.